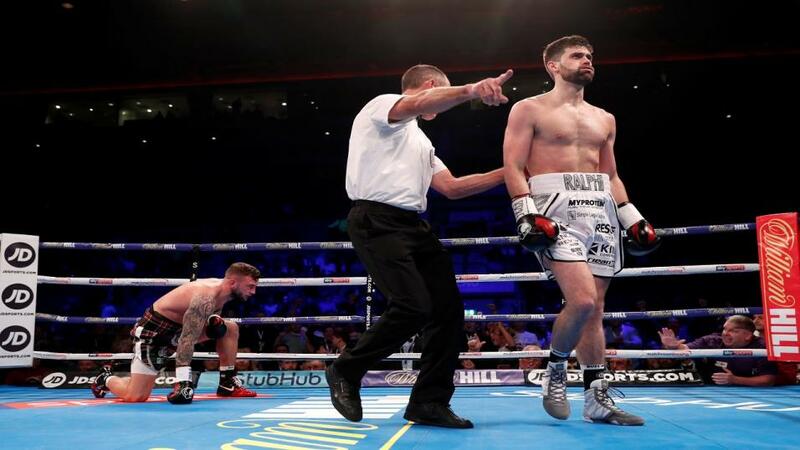 "It’s worth remembering the Mexican’s last three have all gone the 12-round distance, making a points cheer an interesting alternative at 10/3." Mexican fighting sensation Saul Alvarez makes yet another jump up in weight when moving into the super middleweight category. It was a move many saw as obvious for the 28-year-old from Guadalajara, and there are some mouth-watering contests waiting for him at 168lb, but few followers of the sport correctly predicted his next opponent. In the early hours - UK time - of Sunday 16 December Canelo will aim to extend his record to 51-1-2 when facing off against Liverpool's Rocky Fielding at Madison Square Garden, New York. The Englishman's WBA world title will be on the line in what is a remarkable first defence for the Brit. Eyebrows were raised when the bout was confirmed earlier this year, but some went much further, calling it a mismatch and dangerous fight with a few even taking to social media to call Rocky (27-1-0) crazy for accepting the challenge. Crazy? Well, maybe a little, given the man standing in the opposite corner on fight night carries a 64% KO average and was last seen beating Gennady Golovkin, but no one can question the champion's heart or ambition. Lose the fight and it'll be one he was expected to, but win and the 31-year-old Warrington boxer will become an overnight sporting sensation, his story told across the civilised world. Let's not forget the financial rewards too. For one night's work he'll become richer than he probably ever imagined he could from boxing. Rocky's manager Eddie Hearn called it a Cinderella story when speaking to the press recently, and he wasn't wrong. Fielding has nothing to lose and the world to gain. The Matchroom Sports group managing director also warned "The Scousers are coming - this is going to be the trip of a lifetime" and that's certainly something that would've helped the Englishman make up his mind. We've not seen a big British boxing crowd travel to America genuinely excited for a major world title fight in a long time - probably since the glory days of Ricky Hatton. In Alvarez-Canelo that's exactly what we'll see. Rocky is loved among fight fans and they'll go to New York and give their boy the support he deserves. Getting back to boxing - taking the romance out of it for a minute - and it'll all be for nothing, according to the betting. The Betfair Sportsbook has Saul Alvarez a nailed-on winner of this fight with no more than 1/16 available as we sit five weeks out from the first bell. Canelo has already scored knockout wins over English fighters Liam Smith and Amir Khan recently and he's picked by traders to do the same again, the KO/TKO 1/3. It's worth remembering the Mexican's last three have all gone the 12-round distance, making a points cheer an interesting alternative at 10/3. Whisper it, but what about a Fielding upset, in America and before the very people who have ploughed millions of dollars into Saul's career? There's sure to be a few patriotic pounds coming for the away win and that's very easy to do with Betfair traders dangling a juicy 8/1 carrot out there for punters to snap at. After bigger? The favourite's last two have been close - split decision and majority decision - so what about the draw? 33/1 is your prize for taking up position on the fence. That's enough to satisfy punters, but there's more available to those eager to push their luck in the method of victory market. Fielding to get the points win in America is a big ask, 33/1 out there. A KO/TKO - against the mighty Mexican? Surely not. 10/1 quoted.